The Pin Show is an annual fashion runway presentation designed to showcase emerging designers created by Bryan Embry, Julie McCullough and Mike Thompson. 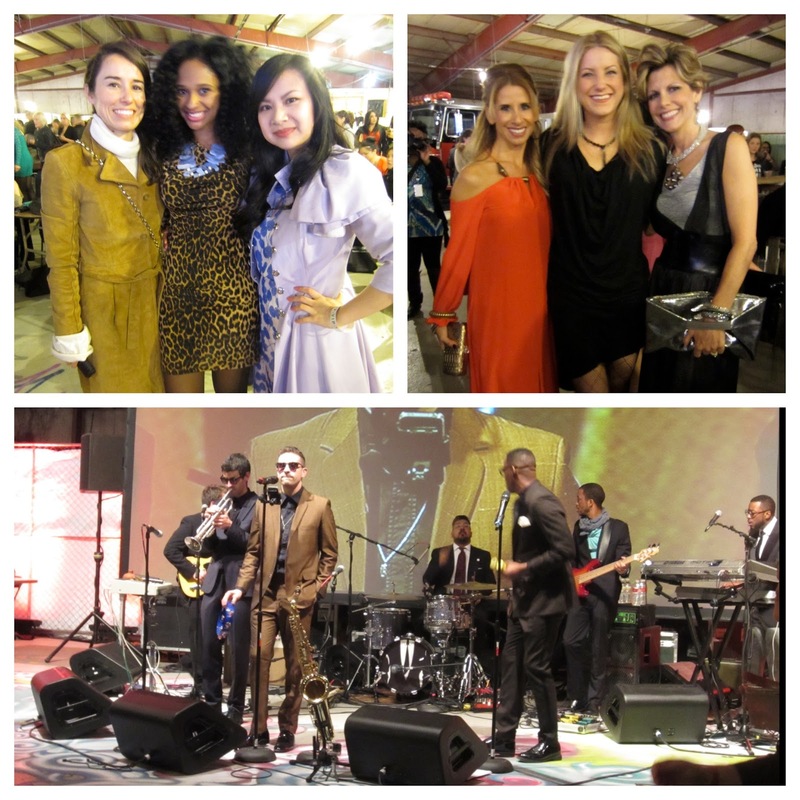 Feeling like they were losing some of their edgy vibe, the event took a chance this year moving from The Fairmont in Downtown Dallas to The Green Warehouse in Trinity Groves. The gamble paid off and the place was thumping and bumping with fashionistas of all ages and the venue had a great energy. The Dallas Observer said of the presentation, "Stripped down to its bones, the warehouse looked and felt an underground party in a Marfa airplane hanger, populated by well-heeled jetsetters. Two firetrucks acted as alcohol's first responders; a shirtless firefighter bartender doled out cocktails while satisfying multiple fantasies. On one side of the space a reckless ping pong game came alive. Flanking the stage were four women, sitting and dressed in updated WWII factory garb, poised adorably behind vintage sewing machines. Somehow, this all worked together. Just adding to the energy, Danny Church Band served as the evening's musical anchor and serenaded each model who ventured down that keyhole-shaped, club-style runway. The live band was another interesting detour from standard practice pageantry, and it sparked a lot of chair dancing." Yep, that about sums up the vibe. There were hits and misses on the runway. 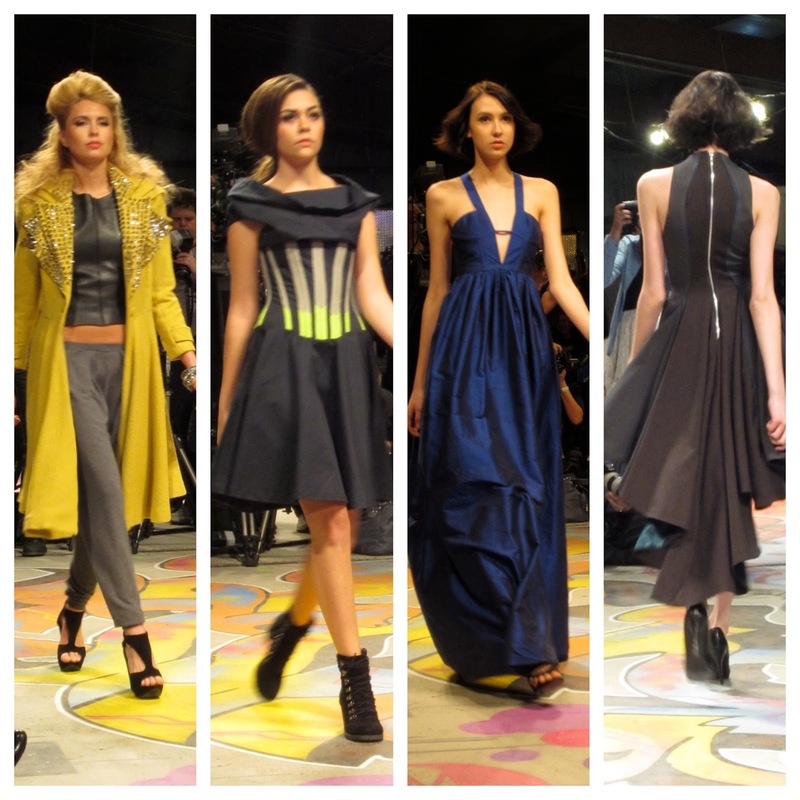 The standout stars for me were Ann Hoang and Melancholic Design. I won't name the misses because fashion is subjective anyway. Suffice it to say that there were varying talent levels stomping the runway. Taking in the dazzling array of frocks, models, baubles and posers were stylists Dawn Mellon, Jennifer Cloutier, Dora Chu and Stephanie Quadri, man about town Jackson, fashion editor Lisa Petty of DFW Style Daily, fashion blogger Alex Small (with her younger brother in tow as photographer) and jewelry designer Diamond Downs of Gehati. More than anything else, this event is a great incubator for talent and that's one concept I can surely support.